Have questions on which loan option is best suited to fit your needs? A Compass Mortgage LLC Loan Officer has your answers! 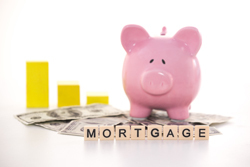 Compass Mortgage LLC offers some of the most competitive rates in the Nation! We offer a variety of loans. Compass Mortgage LLC will find you the loan that is right for you!!! Begin your home loan process today! Please fill out our Pre-Qualification form. We would love to have an opportunity to serve you. All of our consultations are free. Call us today and learn more about the “Broker Advantage."